Shades Hair is a long-established Purley Hairdressers, with a great mix of both new and existing clients who travel from near and far for our hair services. We are also right opposite the final bus stop on the 455 bus route. As it’s at the end of the route, you don’t have to worry about getting off at the wrong stop the first time you visit, just wait until the driver says, “Everyone off”! And when you are ready to get the bus home, we can see - from the windows at the front of our hair salon - when the bus drops off passengers, before it turns round to go back again. Which means you can stay in the warm and dry with us until the 455 bus is ready to make its return journey, such a benefit with our Great British weather! Or you and your family might prefer to walk or cycle to us. 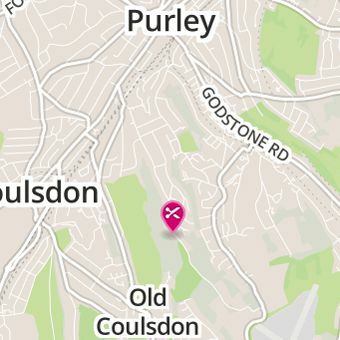 We are within easy walking or cycling distance of many homes in Purley (although if you live on one of the hills, it’s easier on the way down!). So if you’re looking for a hairdressers in Purley that’s easy to get to, with a welcoming, pampering environment, and a team of fully trained professional hair stylists, call us now on 020 8668 3920.